Eminent space scientist and former Indian Space Research Organisation (ISRO) Chairman Udupi Ramachandra Rao passed away in Bengaluru on 24th July 2017 due to age related ailments. He was 85. Rao is survived by his wife, a son and a daughter. Born in Adamaru area of Karnataka’s Udupi district, Rao was involved in all ISRO missions till date in one capacity or the other. He is credited on account of contributions to the development of space technology in India and its extensive application to communications and remote sensing of natural resources. 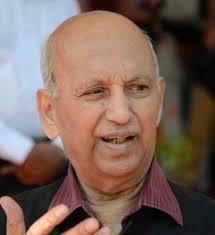 Rao served as the chairman of ISRO for 10 years from 1984 to 1994. Rao was awarded the Padma Bhushan in 1976 and the Padma Vibhushan in 2017 for his contribution to Indian space technology.